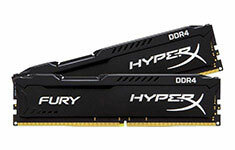 Kingston HyperX Fury Black 16GB (2x8GB) 2666MHz, 16-18-18, 1.2V, 288-Pin DIMM, unbuffered. 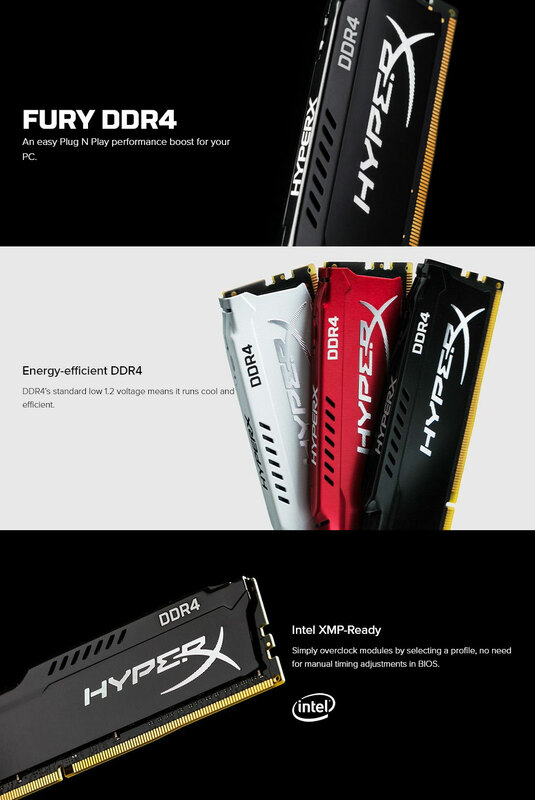 HyperX FURY DDR4 can handle even the toughest battle. It automatically recognises its host platform and overclocks to the highest frequency published — so you can wreak havoc. 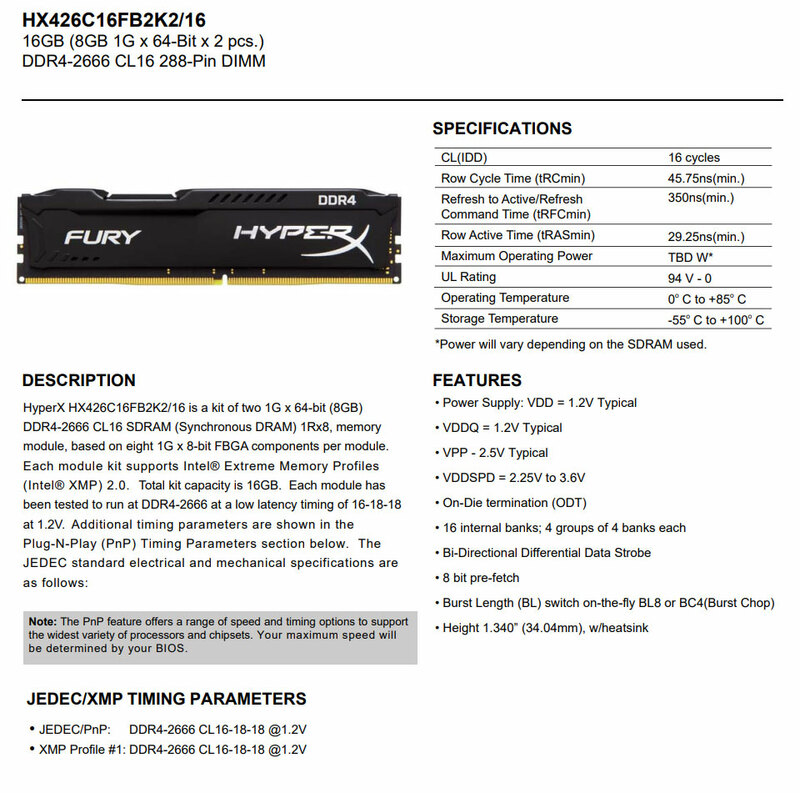 FURY DDR4 runs at 1.2V, so it stays cooler while you play. You don’t need to alter the voltage to reach higher speeds, which means there’s more power for other hardware in the system. FURY’s sleek, asymmetrical black heat spreader provides enhanced thermal dissipation to help keep your cool and help you stand out from the crowd.